Ah no Public Holiday here yet... but everyone's snowed in anyway so doesn't make any real difference. Nice of Google to recognise our Patron's Day. Like the graphic! 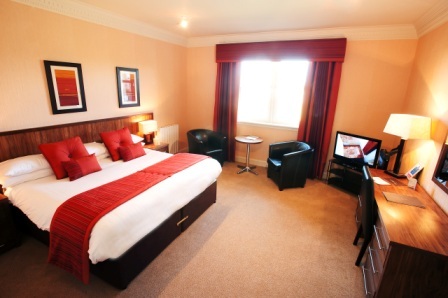 We think there should be a campaign to have all Scottish hotels offering free wifi as standard! Until they do we'll quite happily feature those that have made the step. 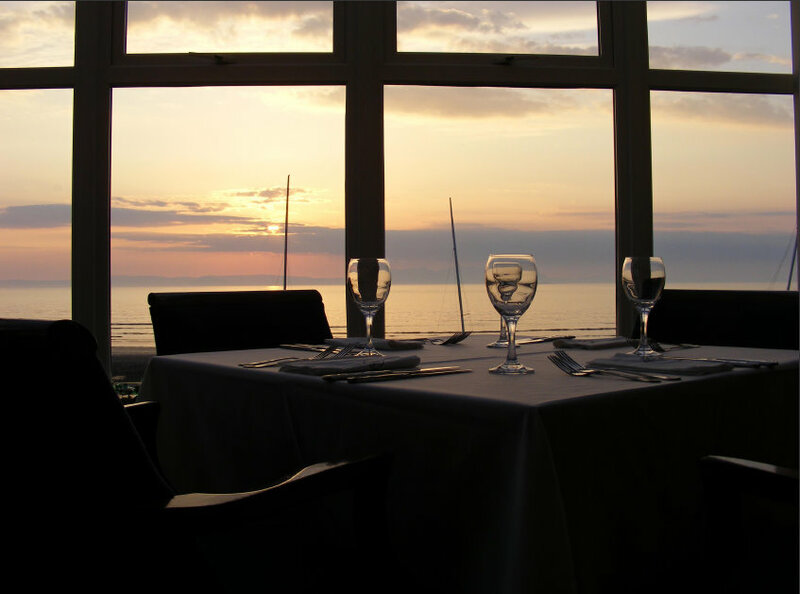 One of our favourite Ayrshire hotels is going free from 1st of December - The Fairfield House Hotel in Ayr is not only a great business venue but with its leisure facilities and location by the sea is a great short breaks and golf destination.Check availability and reserve online now. 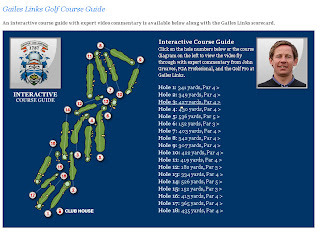 Great new addition to the Gailes Links website has been unveiled with a fantastic Video Course Guide. web home page showing the course, clubhouse, practice facilities and other amenities. Even more impressively they have on their web site an “Interactive Video Course Guide” - (right). 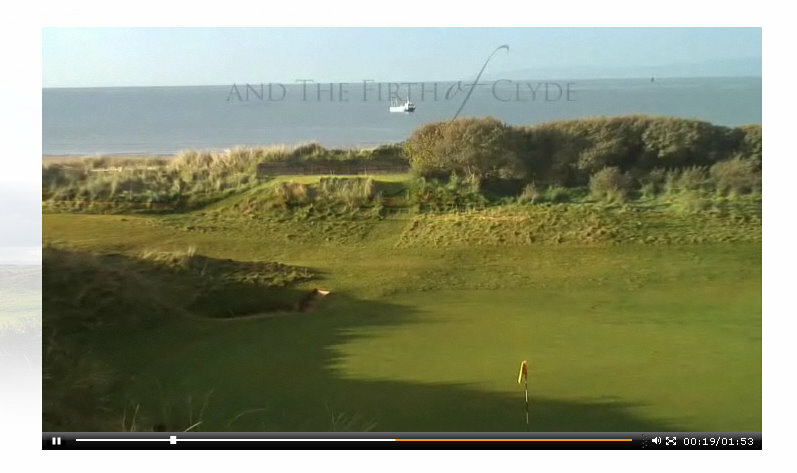 You can click on a hole number to view the video fly through with expert commentary from John Greaves, PGA Professional, and the Golf Pro at Gailes Links. 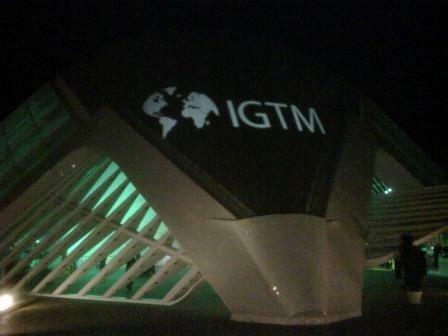 Gailes Links will be represented at the forthcoming International Golf Travel Market (IGTM) in Valencia with the rest of Scotland's West Coast Golf Links on the Visitscotland stand. Looking for a winter golf break? The course will now stay open until November 14 to accommodate increased demand from visiting golfers. You could play this wonderful links and have a stay at any number of Fife properties including some great privately run hotels such as The Inn at Lathones, The Crusoe Hotel, Ogstons on North Street - all have some great winter deals and online booking. Stuart McEwen, the General Manager, said: "After a very busy season and another successful Alfred Dunhill Links Championship the course is still in fantastic condition and we want to give visiting golfers as much chance to enjoy it as possible. 2010 has been a tremendous year for Kingsbarns. We have celebrated the 10th anniversary of the course opening, hosted the Open Championship Local Final Qualifying and attracted greater numbers of visiting golfers. We want to keep the momentum going before the regular winter break." Kingsbarns attracted widespread praise from both the professionals and the amateurs at the Alfred Dunhill Links Championship. British actor Hugh Grant said: ""For the middle-aged golf addict like myself, this is like dying and going to golfing heaven. It's impossible to say which of the three courses is the best but Kingsbarns is probably the prettiest." The Hollywood film star Andy Garcia said: "The Kingsbarns Course reminds me a lot of some of the golf courses on the California coastline. There's one on the Monterrey Peninsula, and Pebble Beach too. I love playing links courses and Kingsbarns is a beautiful design. It looks much more than just 10 years old." The scene, with four golfers making their way towards the first tee in watery autumnal morning sunshine is not an unusual one in itself being replicated on courses across Scotland and beyond by tens of thousands of Sunday morning golfers. The difference this morning however is the location and the date. Accompanied by the Club Captain Brian Morrison, Club Secretary Ian Bunch and Club Pro David Fleming, I was in fact walking towards The Cairn which marks the location of the first tee of the first Open Championship which teed off exactly 150 years earlier over Prestwick Links on the Ayrshire coast. That was a Wednesday and on that particular Wednesday morning a small group of eight roughly dressed individuals made their way towards the wind-strewn sand hills of Prestwick from The Red Lion Inn at The Cross which doubled back then as the clubhouse for Prestwick Links. For certain they were not aware of what they were about to set in motion but it was on this day 150 years ago that history was made by the eight individuals made up of “golf professionals”. Professionals in the sense that they made a living form the game through as a caddy, club or ball maker. They were unknowingly making history by playing the first ever round of The Open Championship resulting in the presentation of The Belt to Willie Park from Musselburgh who won that first Open with a score of 174 and a two stroke cushion over Tom Morris who was at that time the Keeper of Prestwick’s green. 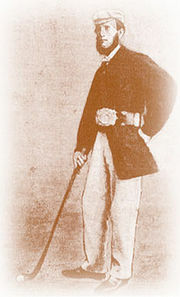 The red morocco belt was purchased for £25 by the members of Prestwick and subsequently retained by Young Tom Morris after he won it in three successive years from 1868-70. The Claret Jug, still played for now, was then purchased jointly by Prestwick, The Royal and Ancient Golf Club and The Honourable Company of Edinburgh Golfer and first played for in 1872. So it was with this burden of history that our band of four men and a dog took the short walk to the historic mound of stone and the starting point for the first ever Open Championship. Now if you’ve played Prestwick before you’ll know that the first runs alongside the Glasgow to Ayr railway line with out of bounds on the right. It is a rather intimidating opener. Well the “old first” exists in the sense that the tee is there and the green is there, the green being the current 16th. Apart from that there is no fairway and the thirteenth green stands in your way! The fairway as I saw it seemed to be a path about five yards wide running down from the fourteenth tee. That made this an even more intimidating opener. Add to this that every golfer in Scotland has his own Open Championship memories and who wouldn’t have wanted to be standing in our place. My own first Open memory was as an eight year old at Muirfield chasing Tony Jacklin in a buggy (he in the buggy not me) for an autograph. Various spectating highlights have followed over the years at Troon, Turnberry, The Old Course, Carnoustie, Birkdale and Lytham and my own single zenith as a spotty 17 year old youth caddying for English Amateur Chris Poxon at Royal Troon. We (he) may have missed the cut but it is my own special albeit tenuous “professional” connection with the greatest of golf championships. It may be gilding the lily slightly to say that it was an emotional moment but there was a genuine sense of history in teeing the ball up on that spot at that moment and I have to say it was with some pride, for all I think, that each drive left the tee – straight - following that historic route. The original 1st hole measured 578 yards and the talk on the tee was how Tom Morris Jnr could hole out over that distance in three strokes using hickory shafts and a gutty golf ball. I still haven’t figured it out but it would have required me to hole out with a four wood to have replicated the feat! As it was the green was reached in three and unusually two putted for a five. Elation. Our Professional David Fleming lipped out from a few feet for what would have been a deserved four and Ian Bunch, the club secretary, well Ian was penalised by the fact that what would have been fairway in 1860 was now benefitting from a 150 years of growth! As I played the rest of the round, I couldn’t help, as I criss-crossed those hallowed fairways, but compare Prestwick again with all of those aforementioned championship links and how well this challenge still compared. So hallowed indeed were those fairways that I quite respectfully avoided playing from most of them! 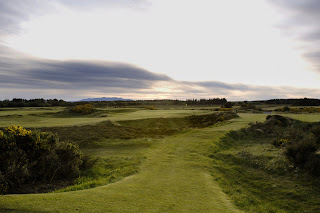 Prestwick remains one of the purest links golf challenges that a golfer can take on and while it will never see an Open championship again, it will for sure continue to be high on the list of courses you must play before you die. Indeed it should be very high on that list. 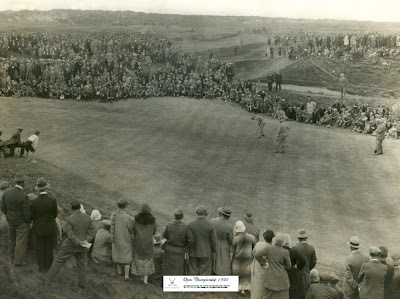 In those early days Prestwick, however, continued to host the Open and did so intermittently until its swan song in 1925 when sheer pressure of crowd numbers contributed, it is said, to the home favourite MacDonald Smith losing out to his American challenger Jim Barnes. Indeed the history is all around you at Prestwick. Replica belts and trophies, original scorecards, photographs, winners boards. Yet the contradiction at Prestwick is that while it retains its tradition it is far from lost in it. Since becoming the club secretary Ian Bunch has, in his own style, transformed the way the club is seen from the outside. First class visitor facilities and a genuinely warm welcome are offered at Prestwick along with increases in tee time availability for the tourism markets; a position that in itself encouraged other golf courses in the area to follow suit. In addition each year Prestwick recognises the role that the golf travel sector play in its success by hosting a wonderfully quirky “six-some” event. The cherished highlight was surely the first hole but our game was rounded off with an equally indelible memory coming down the 13th hole. Playing into the wind, the club pro once again out hit us both by seventy five yards into the wind. As we approach our balls we witness the gap decreasing with David Fleming’s ball coming towards our own being pushed back down the fairway assiduously by the beak of a rather large black crow! Patently tiring the crow looks up towards the incoming golfers and decides to beat an escape with the golf ball firmly fixed in its beak and heads for the beach. Imperiously now, and sensing escape with a Taylor Made Penta, it flies off and lands fifty yards away on the boundary fence separating course from beach; differentiating in-play from Out of Bounds. And yes you can guess the next part. It had a last thought about where it was going to drop the ball, turned towards the Firth of Clyde, decided the pro needed penalised and neatly dropped Mr Fleming’s ball Out of Bounds! Hole to the amateurs on the day of the first professionals! On a day such as this it was quite clear that the spirit of 150 years ago was still very much present in the south westerly Ayrshire breeze and hell if we want to romanticise the presence of our feathered friend on this day then who is to condemn us! Thank you Prestwick for what you started and to Ian Bunch and David Fleming for letting me share a little part of it with them. You can find out more about the history and heritage of not only The Open Championship at Prestwick but also Troon, Turnberry and the other seven links golf courses on Scotland's West Coast. The Scottish Golf Union has teamed up with one of world golf’s most famous venues, Royal Troon to offer SGU affiliated golf club members exclusive green fee rates during the winter months. Royal Troon have very generously donated tee times to the Scottish Golf Union to offer to golf club members in Scotland with all proceeds going into junior golf development. The tee times, detailed below are available for £280 per fourball, allowing golf club members a terrific discount on the standard green-fees at Royal Troon. To book your tee-times, please contact the Scottish Golf Union on 01334 466477 or for further information please e-mail l.llewellyn@scottishgolf.org. All tee-times are subject to availability at the time of booking. 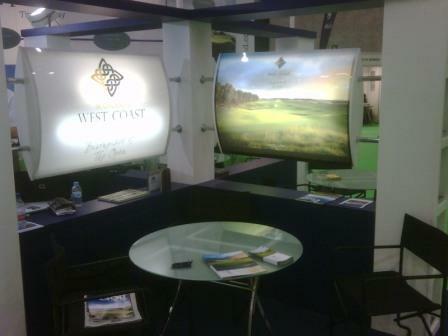 Scotland's West Coast Golf Links are delighted to confirm that they will be attending the International Golf Travel Market in Valencia this November alongside industry partners on the VisitScotland stand. 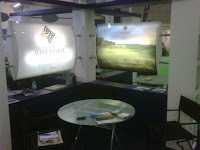 Group Chairman, and Prestwick Golf Club Secretary, Ian Bunch was delighted that the marketing group were going to be represented, "IGTM presents an exciting opportunity for Scotland's West Coast Golf Links to promote the golf destination of Ayrshire to the travel trade. Whilst we are hardly unknown there is more to the area than many realise and this market gives us the opportunity to present our product clearly to the travel trade." The group will be represented by Guy Redford from Dundonald Links who is looking forward to the challenges and opportunities the event offers. "We've believed for some time that Ayrshire needed a presence at key travel trade events and we are sure that being at IGTM will open up some great new business relationships not only with the golf courses but also the accommodation providers all over Ayrshire." Exclusive Deals for Golf Club Members at Scotland's Open Championship Venues. These special offers are only available to existing members of SGU affiliated clubs. To book your tee-times, you should contact the Scottish Golf Union on 01334 466477 or for further information please e-mail l.llewellyn@scottishgolf.org. All tee-times are subject to availability at the time of booking. Muirfield has hosted the Open Championship on no fewer than 15 occasions, the last of which was back in 2002 when South African Ernie Els lifted the Claret Jug and will be Scotland’s next Open Championship venue in 2013. 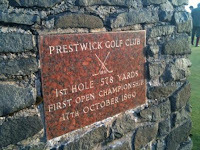 Prestwick of course lays claim to the birthplace of the Open Championship, having staged the first ever event back in 1860. 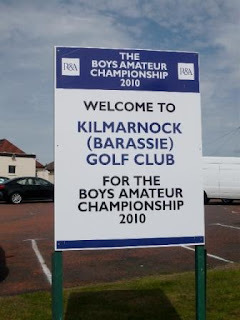 Situated on the picturesque Ayrshire coastline, it has retained its reputation as one of the finest links courses in the country, with a visit to the Prestwick clubhouse a must during your day, featuring a glittering collection of memorabilia from the various championships it hosted during the club’s rich history. 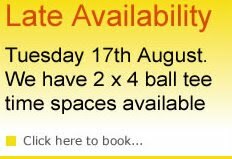 The number of tee-times is limited so you are advised to book early to avoid disappointment. Payment must be made in full within 7 days of booking and tee-times will be sold on a first come, first served basis. All four members of your group must be members of an SGU affiliated golf club and handicap certificates will required at each club. Further rules and regulations for visitors at Muirfield and Prestwick will be sent to you following confirmation of your booking. The four-ball at Muirfield is £80 less than last year as winter work is being carried out on the course. As the days get shorter and crisper, winter is the perfect season to improve your golf game. Where better to improve and practice your swing than at Europe's leading Links Golf Academy at The Turnberry Resort home to the Ailsa and Kintyre links golf courses. The cost of this great golf tuition offer is only £179 per person and is available from the 1st November 2010 until 31st March 2011. 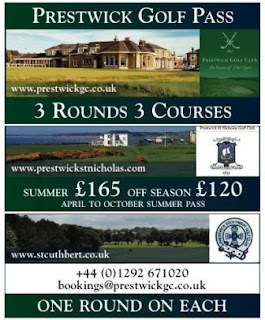 The three Prestwick golf clubs have trialled a joint marketing initiative, offering a round on each course at a special rate. This has proved successful for each of the Clubs and it is the intention to roll it out for the 2011 / 2012. The current prices are indicated below and the VAT increase will come into effect in April 2011. Weekend supplements will apply where times are available. To help golf groups, societies and tour operators looking to price their packages, the three Ayrshrie golf clubs have set their prices all the way through to April 2012. Hotels will be able to now create winter golf pacakges with the knowledge of the price and availability of the product. The Gailes Golf Experience have this week announced special off season rates for autumn and winter 2010-11. In October 2010 and March 2011 you can enjoy three rounds of golf over Dundonald Links, Western Gailes and Gailes Links for £140; play between November and February for as little as £110 for a round on each course. Winter Golf may not be for everyone but if you're looking for somewhere to play you could hardly pick better than the west coast links of Scotland - with if you're fortunate some of the finest views across to the Isle of Arran. With the odd exception (last winter!) many courses remain playable on full greens all year round. The winter rates can't promise that and conditions are always subject to the weather but it really does offer a great value Scottish golf short break and you can tie it in with superb value room rates at some of Ayrshire's best hotels. The image shows Kilmarnock Barassie Golf Club's newly crowned Junior Club Champion, David Wilson receving the trophy from Captain David Miller. Superb rounds of 79 and 72 saw him tie on 151 with Euan Walker. However, one under par on the three-hole playoff, saw him take the title for the first time. It was Club Championship weekend at Barassie and newly crowned Club Champion (and immediate past captain) Robbie Faulker is seen receiving the trophy from current Captain David Miller. It is also significant Los Hombres are partnered in the Coronation Cup (the foursomes competition) and are at the semi-final round. Another title for Robbie? ...don’t bet against it!! Prestwick Golf Club, the home of The Open Championship, is seeking a new Club Secretary ahead of the upcoming retirement of the current Secretary after 15 years. The job, one of the most prestigious in golf, will be advertised from this week and applications are expected from across the UK. With the current Secretary retiring at the turn of the year after 15 years at the helm, the successful candidate will take up the appointment at the start of 2011. This summer, the world renowned golf club is hosting the celebration of the 150th Anniversary of the first Open Championship which was played at Prestwick in 1860. Invited guests include all living Open Champions and Captains of all the Clubs which have hosted The Open. Peter Graham, Chairman of Prestwick Golf Club, said, “This is one of the most prestigious jobs in golf and we are expecting a great deal of interest from across the whole of the UK. Having hosted the first 12 Open Championships, Prestwick has a special place in the history of golf and as such, the Club’s Secretary has a high profile role within the game. “We are looking for someone who can represent Prestwick at the highest levels within the game at the same time as ensuring the smooth running of the Club on a daily basis and we are confident the calibre of applicants will be high. The advertisement for the Secretary can be downloaded here and is being advertised in numerous publications from this week. Once you've finished your round at Prestwick St Nicholas - and particularly if the final three holes have left you traumatised - what better way to round off the day with a post match meal in one of the most splendidly located golf club restaurants in the country. With views across the Firth of Clyde to Arran, the sunsets can be truly magnificent and are complemented by the excellent menu and wine list on offer. So next time you're playing at Prestwick St. Nicholas, make sure you extend the dinner invitation to the non playing members of your group and be sure of an excellent dining experience. 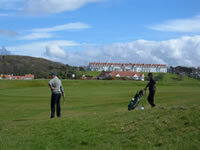 Find out more about Prestwick St Nicholas with Scotland's West Coast Golf Links. What could be more perfect than a round on the legendary Ailsa Course at Turnberry on Scotland's West Coast in the pure, clear light of a long summer evening? Sunset rates apply this year from 3.00pm daily from only £90 per person on The Ailsa and £50 on The Kintyre. 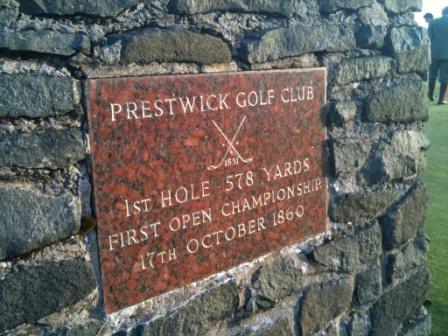 2010 marks the 150th anniversary of the first Open Championship that was played at Prestwick Golf Club. To celebrate the occasion The Professional's Shop at Prestwick Golf Club have introduced an exclusive Open Championship range of merchandise. This new range incorporates "Birthplace of The Open Championship" as well as the official claret jug logo only available at Open Championship host venues. In addition David Fleming recently commissioned a series of 1925 Open Championship canvas prints representing the last time the championship was held at the course. At the time of writing there's a late availability offer at the magnificent Royal Troon Golf Club on the Ayrshire coast next week for two four balls on the 17th of August playing both the Championship course and the Portland. 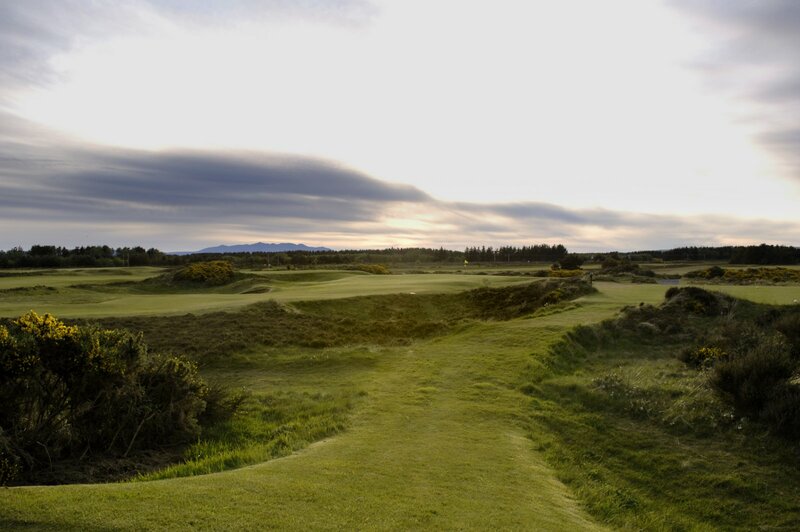 You can reserve these and other times on-line at The Royal Troon Bookings page or find out more about this famous Open Championship golf course at Scotland's West Coast Golf Links. Kilmarnock (Barassie) Golf Club near Troon in Ayrshire are currently readying themselves for a week's hosting of the prestigious British Boys Championship with young golfers from across Europe descending on the course to vie for the title. However whilst the course may be closed to visitors from the 8th to the 14th of August when it reopens you can take advantage of the fantastic condition of the course at a 20% discount on afternoon green fees. Subject to availability golfers can get 20% off the green fee between 2pm and 3.30pm Sunday to Friday during August and September. Dundonald Links, the Kyle Phillips designed links course on the Ayrshire Coast will this week be hosting the qualifying strokeplay rounds along with neighbour Barassie Links for The British Boys Championship. Friday 6 August - 12.30 p.m. till 3.00 p.m.
Saturday 7 August - 1.00 p.m. till 3.00 p.m.
Thursday 12 August - 8.00 a.m. till 10.00 a.m. and 12.30 p.m. till 3.00 p.m.
Friday 13 August - 8.00 a.m. till 10.00 a.m. and 12.30 p.m. till 3.00 p.m.
Quote "Summer Web Offer" at time of booking and call 01294 314000. The importance of video footage is increasing dramatically in the hospitality sector and it can be seen in golf course marketing as well. What better way to showcase a links golf course than with a well produced video. In these days of increasing importance of social media video footage taken by your visitors can be loaded up onto YouTube and even embedded back into your own site without too much technical knowledge. Anyway, Western Gailes have a great piece of video on their site which if you're thinking of visiting is well worth a watch. 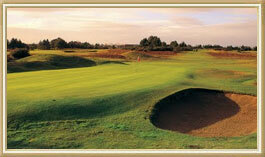 Gailes Links is owned and managed by Glasgow Golf Club, the 9th oldest golf Club in the world. This Championship Qualifying course is well placed in Ayrshire, close to the legendary Turnberry, Royal Troon and Old Prestwick Golf courses. The club created a completely new website for 2010 separating the Glasgow Golf Club site from the Gailes Links. 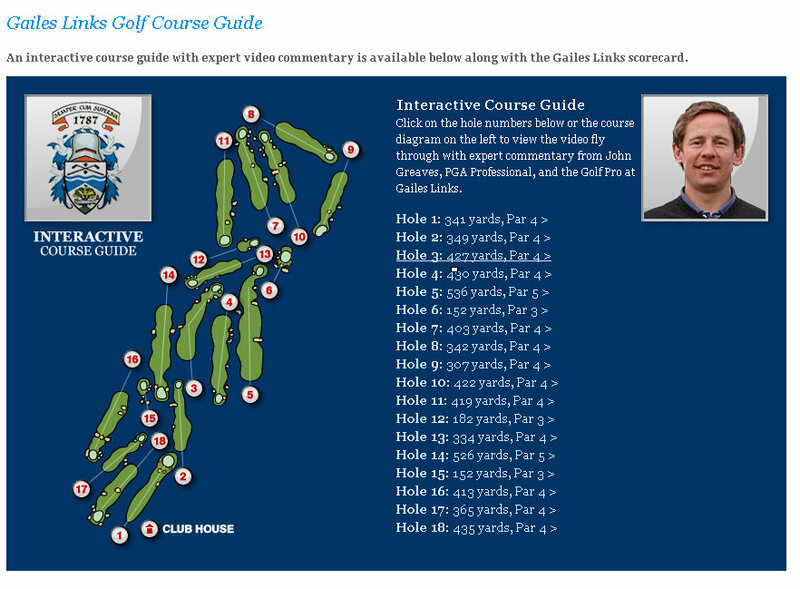 The new site now offers online booking for Gailes Links course using the BRS system. The system allows visitors to book and manage their tee times and additionally gives tour operators access to do the same for their clients. If your looking for more information on the club you can visit the dedicated page on Scotland's West Coast Golf Links or perhaps you could take advantage of their summer golf package. ScotRail is to launch a Sunday train service for day trippers from Sunday 25th of July to Oban from Edinburgh, Linlithgow and Polmont over six weeks this summer and run each Sunday until 29 August inclusive. The service is timed to give passengers five hours in the West Highland town and designed to appeal to people in Edinburgh and West Lothian who would love a day out in Oban – without taking the car. The train will leave Edinburgh Waverley at 0810 and arrive back in the capital at 2107. Graeme MacFarlane, marketing manager at ScotRail said that the move was in direct response to listening to customers – as well as people opting to holiday in the UK due to ongoing uncertainty regarding air travel. He added: “Many customers in the East of Scotland have told us they would love to experience the West Highland Line for a day out but would prefer not to change trains – and sometimes stations – at Glasgow. The fare will be £30 return or £20 single. Children go half price and are available ONLY by telephoning ScotRail Telesales on 08457 55 00 33. 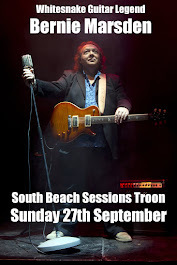 Seating will be on a first come first served basis. No other ticket offers or discount card can be used in conjunction with this ticket. The day before the Scottish Open, a week before The Open at St Andrews and a couple of weeks before the Seniors Open; today saw the launch of The Gailes Golf Experience. Three Ayrshire courses - Western Gailes, Glasgow Gailes Links (right) and Dundonald Links - have joined together to create this unique golf pass with great value for the visiting golfer. Golfers to Ayrshire can play three of the finest links championship courses in Ayrshire for just £180. For further information on Gailes Golf Experience call 01294 311649 or visit www.gailesgolfexperience.co.uk for details on how to book. 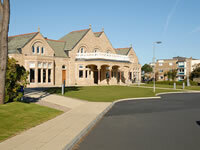 The Gailes Golf Experience was launched today, the 7th of July 2010. Three Ayrshire courses - Western Gailes, Glasgow Gailes Links and Dundonald Links - have joined together to create this unique golf pass with great value for the visiting golfer. Golfers to Ayrshire can play three of the finest links championship courses in Ayrshire for just £180. One of those strange things that you look up - Salsa Dancing in Edinburgh! Well if you are looking for a Salsa Partner or already have one and are spending some time in Edinburgh this summer what about a Salsa Cruise! Sunday 25th of July there's a cruise from South Queensferry from 6 til 9pm on the Forth Belle Boat which is promoted as a "Salsa Cruise Jam packed with live entertainment all night, guaranteed to get you on the dance floor with our Dance instructors and full animation team, taxi dancers and great DJ's"
Don't have a clue how to Salsa but always willing to be taught! You can book your Salsa Cruise on-line and discounts available when you book a group of 10. End of term party for salsa latinos Baile! There's a great summer golfing offer available for visitors to Kilmarnock (Barassie) Golf Club near Troon in Ayrshire from June right through until September. The course, which is host to the 2010 British Boys Championship and last year's Final Open Qualifying is offering a 20% discount from Sunday through until Friday on tee times between 2pm and 3.30pm. The stadard midweek green fee is £57 so a fourball can save more than £40! The Barclays Scottish Open will take place the week before the 150th Open Championship at St Andrews and the organisers are delighted that US Masters Champion Phil Mickelson has confirmed his entry to The Barclays Scottish Open at Loch Lomond Golf Club from July 8-11. The American left-hander once again proved himself one of golf’s most gifted shot-makers during his unforgettable victory at Augusta National recently as he picked up the third Green Jacket, and fourth Major title, of his glittering career. Mickelson, a winner of 44 titles around the world, will return to the banks of Loch Lomond hoping to improve upon his second place finish of 2007 when he lost out to Frenchman Grégory Havret in a sudden-death play-off. “Returning to Loch Lomond for The Barclays Scottish Open is always a special week for me,” said Mickelson, who last played at Loch Lomond in 2008. “Everything about the tournament, from the sponsors, to the golf course and the stunning setting at Loch Lomond is as good as it gets in golf and I am proud to be associated with the event. “I would love to add The Barclays Scottish Open to my list of career wins: to be successful in Scotland, the home of golf, is something that every player would love to have on his resume and I am no different.